We spent some time with Acer this afternoon looking at their upcoming products and we were able to get some hands-on time with many laptops and tablets. 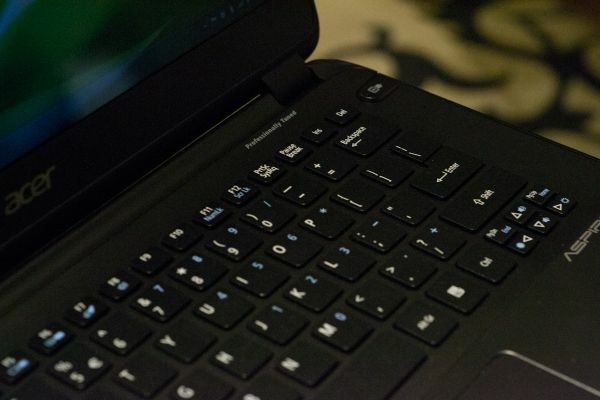 We’ll save the tablets for a separate article—and the most interesting tablets aren’t something we can discuss right now anyway—so let’s talk Acer laptops for a moment. First, the best news is that all the laptops we saw have ditched the floating island keyboard and most are using a typical chiclet design. We’re still not sure about the merged Enter/Backslash keys (most likely a design element for a European or Asian model), but otherwise the keyboards have a good feel and are far more usable than some older designs. Most of the laptops are updated versions of existing product lines, so we won’t focus too much on those. 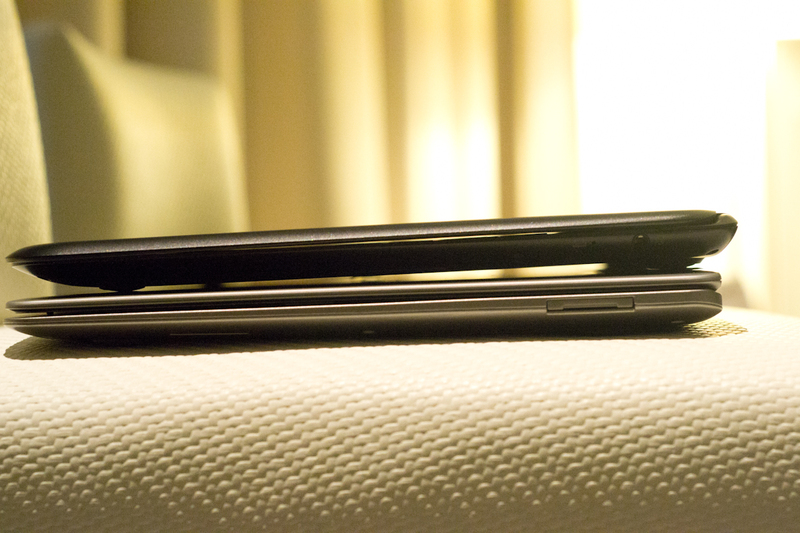 The most interesting laptop on display was their ultrabook S5, a follow up to the S3 we reviewed last month. Aspire S5, atop it's predecessor the S3. Note the S5 is 15mm thick not including the footrests. The new S5 ultrabook builds on some of the strengths of the S3, with a few interesting twists. It’s thinner than the S3 for one, and it’s also getting the Ivy Bridge treatment. Along with Ivy Bridge, the S5 also has a Thunderbolt port—one of several Windows laptops we’ve seen at CES with Thunderbolt. Where things get a little odd is with the ports on the S5. On the S3, they’re at the back of the laptop chassis, which wasn’t really a problem in our book. With the S5, they’re still on the back, but they’re hidden by default with a motorized plate that extends down about a centimeter at the press of a button. Okay, sure, it’s kind of entertaining the first few times you see it, but I can’t help but have serious concerns about the longevity of such a solution. Moving parts are always more likely to break, and hiding the ports behind a motorized latch just feels completely unnecessary. The LCD and overall build quality are also generally unchanged from the S3, so while the S5 isn’t ugly by any means, it still feels like a cheaper ultrabook with seams all around the edges. Acer mentioned that they’re working to elevate the quality of the Acer brand, with the Gateway brand now taking over more of the value market, and that’s a good plan. They’ve made strides the last couple of years with the use of better materials and overall better designs. However, there’s still a rather sizeable gap between the build quality of an Aspire S3/S5 and something like a MacBook Air or ASUS UX31E. We also have concerns when things like the CPU throttling issue on the TimelineX 3830TG went unnoticed during validation and testing. If Acer wants to compete in the higher price arenas, they still have plenty of work to do in improving their build quality, designs, and quality assurance. Hopefully we’ll see more improvements over the coming year (like the farewell to the floating island keyboards), and we’re still waiting for a major OEM to really push for high quality displays in all of their laptops. Acer’s tablets appear to be making real strides in those areas, and we had some time to handle some unannounced tablets, so Acer just needs to apply some of those same lessons to their laptops. "it still feels like a cheaper ultrabook with seems all around the edges." A stupid motorized door that will break or get damaged and no IPS screen. They're playing to the mob. You and I don't matter. "[T]he most interesting tablets aren’t something we can discuss right now anyway"